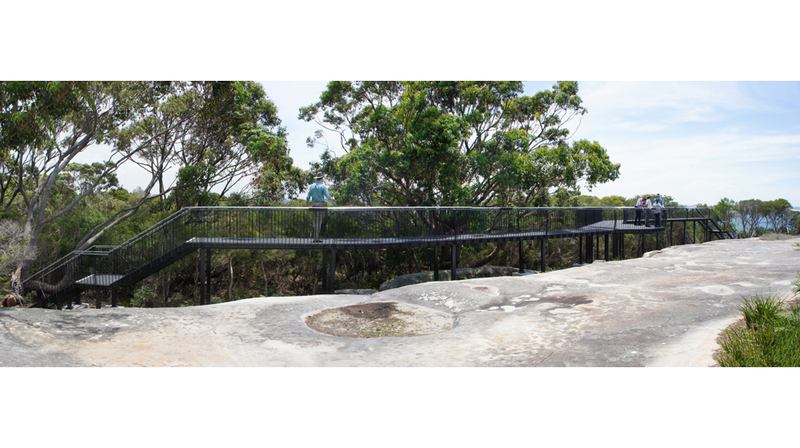 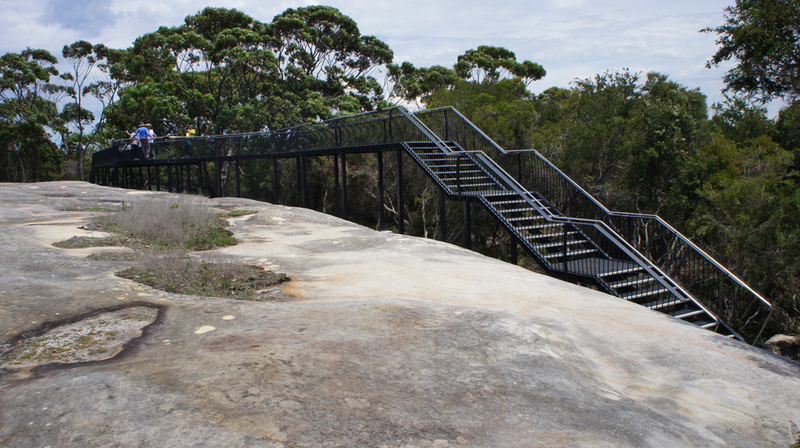 Jibbon Headland in Royal National Park contains a highly significant and extensive group of cultural artefacts managed by NSW National Parks & Wildlife Service (NPWS) and the La Perouse Aboriginal Land Council. 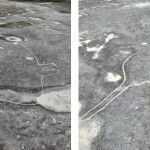 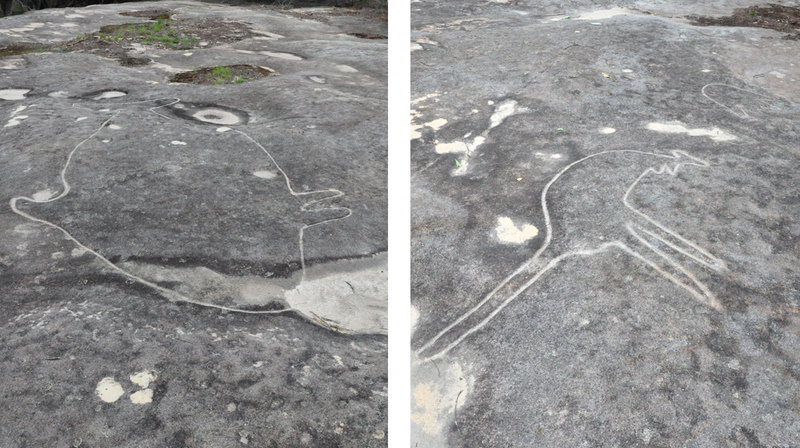 The site has high cultural significance and has been subject to a high degree of visitation which has started to deteriorate the site over time. 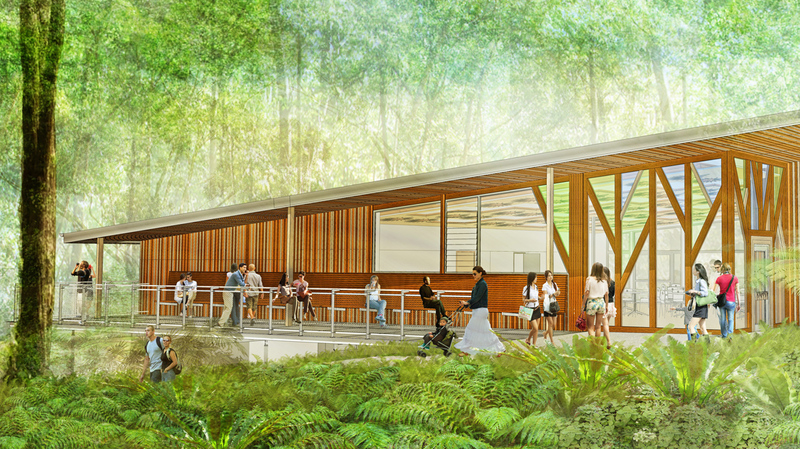 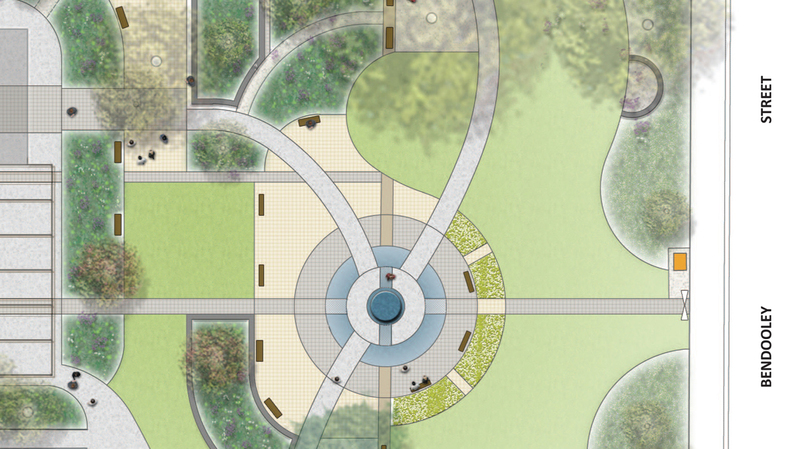 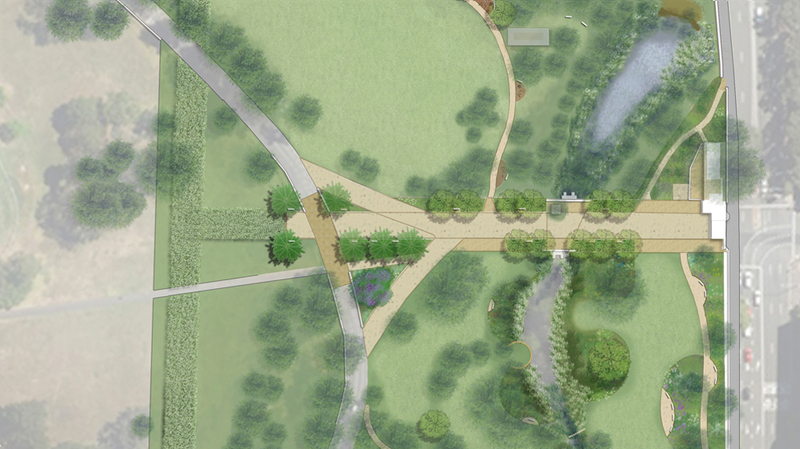 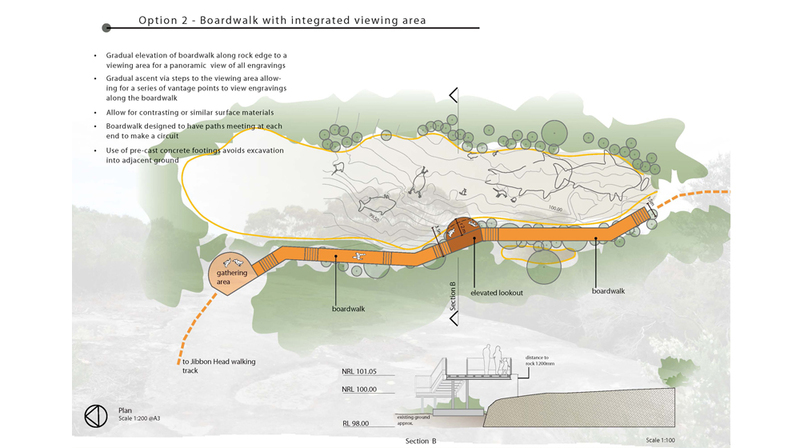 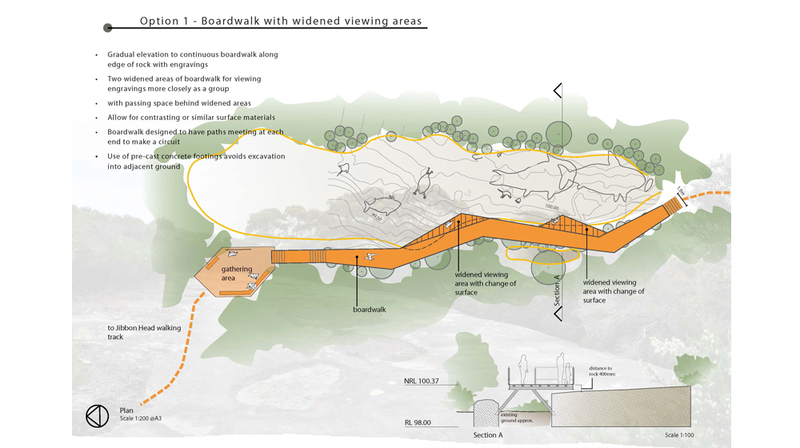 provide simple gathering areas at the start and end of the boardwalk to allow discussion and storytelling. 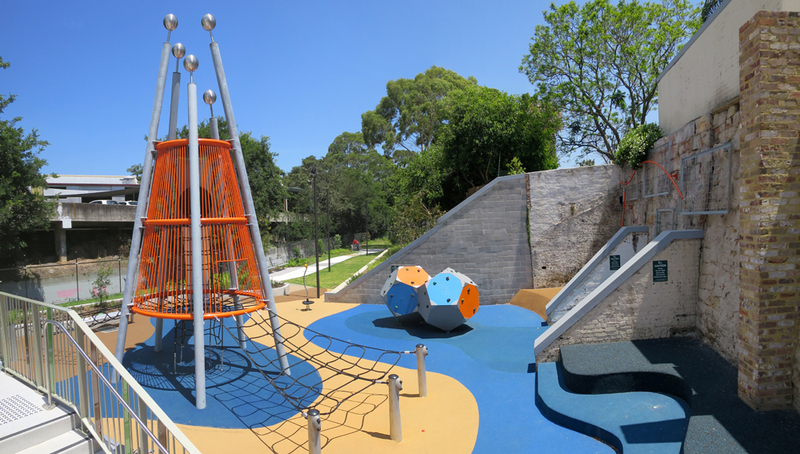 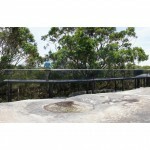 Being an inaccessible site, the construction of this project relied on bringing the designed element in by chopper. 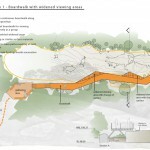 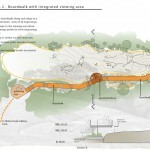 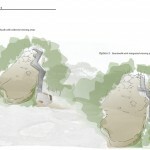 This meant designing and documenting the structure in small sections and assembly on site. 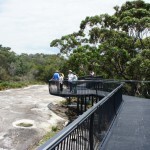 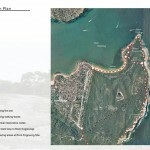 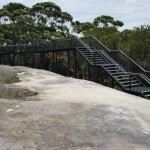 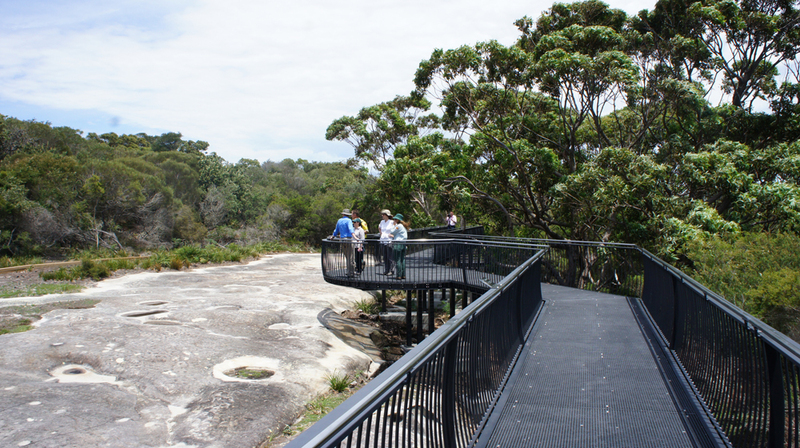 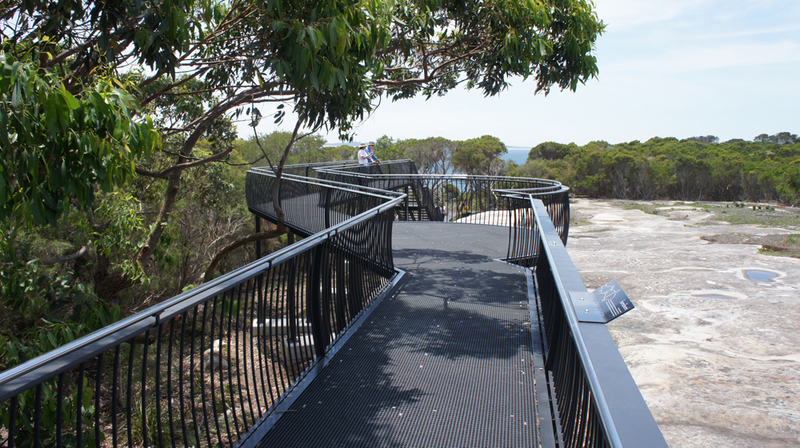 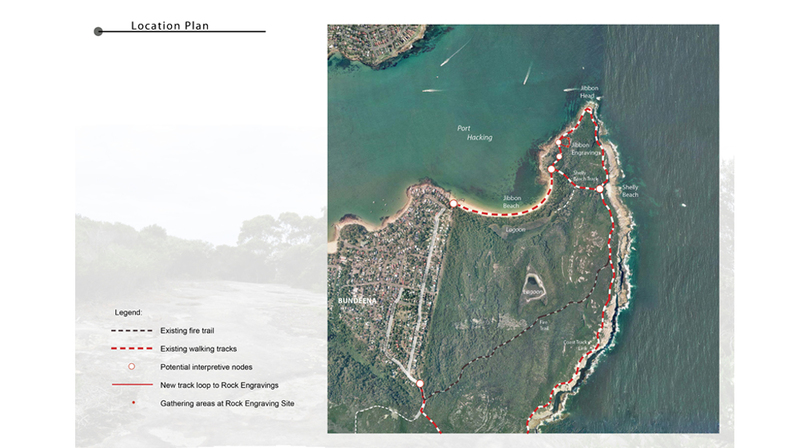 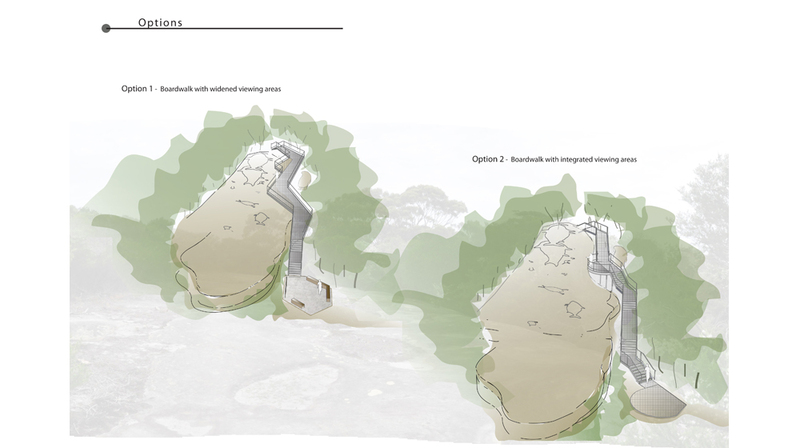 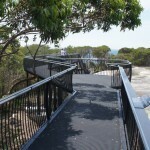 The Jibbon Headland Walkway is designed to recede into the vegetation and not to dominate the landscape and the surrounding heathland.